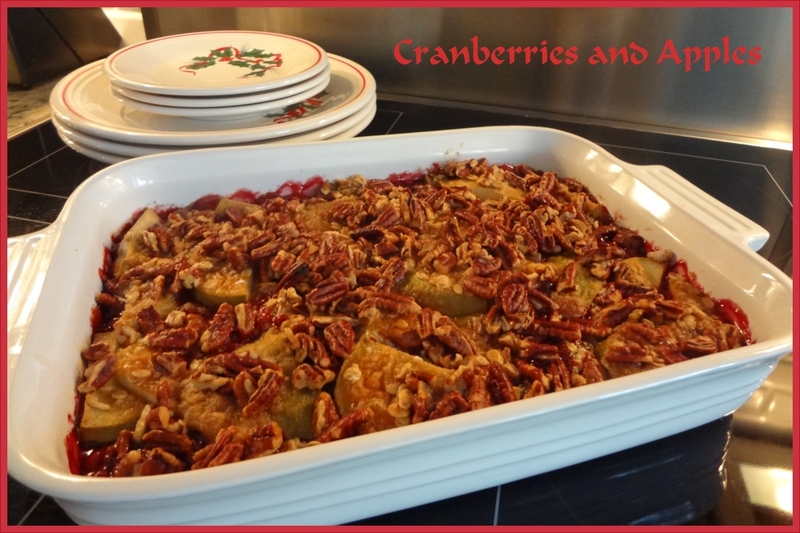 A special recipe that’s taken the place of traditional cranberry sauce at our Christmas table! Lighty grease a 9×13-inch baking dish. Spread cranberries in bottom of dish. Slice apples. Do not peel. Top cranberries with apple slices. In a small bowl, combine oats, brown sugar, and flour. Sprinkle over fruit. Toss pecans in melted butter. Sprinkle evenly over fruit and topping. Bake in a preheated 350 degree oven for 55 to 60 minutes. Serves 10 to 12.